Kim, I love that you are posting so often! We New Yorkers don’t eat velveeta, or Rotel. What’s wrong with real cheddar cheese? Thanks, Karen! Real cheddar cheese just doesn’t melt right for dips. It tends to separate and get oily. (a) Yes! Where the hell do they put the damn Velveeta? I swear to you, I go up and down every aisle at least twice, and then have to actually ASK where the stuff is. I have learned one thing: end caps. (b) my mama uses the Jimmy Dean SAGE sausage – WONDERFUL. She accidentally used maple one time…ugh. (d) 3 or 4 years ago my friend and I (both from the ArkLaTex region, now in NC) introduced a native NC girl to rotel. She had never heard of it (the actual rotel in a can) before (???) and thought it (the dip) was the Best Thing Ever. (a) I’m glad to know I’m not the only one who has to search for Velveeta. I swear they move it around occasionally, just for fun. (c) Haven’t had the scoops tortilla chips, but like the idea of them! (d) Somebody from NC had never heard of Rotel? Weird. But glad you initiated her. (e) Certainly not. In fact, Rotel is just one of the featured items on my list of favorite White Trash Party Foods. Stay tuned for future posts on sausage balls, piggies, and lime sherbet punch. I love this stuff! I didn’t realize it was a southern thing. My dad made some with deer meat a while back. It wasn’t bad, but I prefer beef. I’m so glad you like my blog! I have to say I’d steer clear of deer meat Rotel, seeing as I steer clear of deer meat in general. +1 from me. I’m the “other” ArkLaTex that Delightful refers to above. We just call it “cheese dip” and leave it at that. Although I’ve taken to putting TWO cans of rotel in a batch, one mild, one spicy, as I like to hunt & peck for the tomato bits. 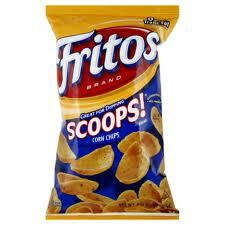 As for dippers, I grew up with fritos. The skinny ones. The scoops are a giant leap forward, IMHO. Tortilla chips will do in a pinch. And the hunt for it at the grocery? Yeah. They could at least put it somewhere in the VICINITY of the rest of the dairy world. Then again, hunting it down burns off at least one scoop’s worth I suppose. Yes, the dehydrated layer on cold Rotel is ICK! I like the thought of burning off one scoop’s worth of Rotel. Thanks for pointing out the bright side to the “Where’s Velveeta” situation! !